By BoltBait, June 4, 2014 in Plugins - Publishing ONLY! I rebuilt my new 4.0 plugins for the Fill menu against 3.5.11 so that people that don't upgrade to 4.0 will not miss out on all the fun. If there is an image on the clipboard (like after you've pressed the PrtScn key on your keyboard), use Effects > Fill > From Clipboard to tile that image into your current selection. If there is no graphic on the clipboard, you'll just get your original image unchanged. If the image you wish to tile is instead in a file on your computer, use Effects > Fill > From File to tile it from your image file into your current selection. 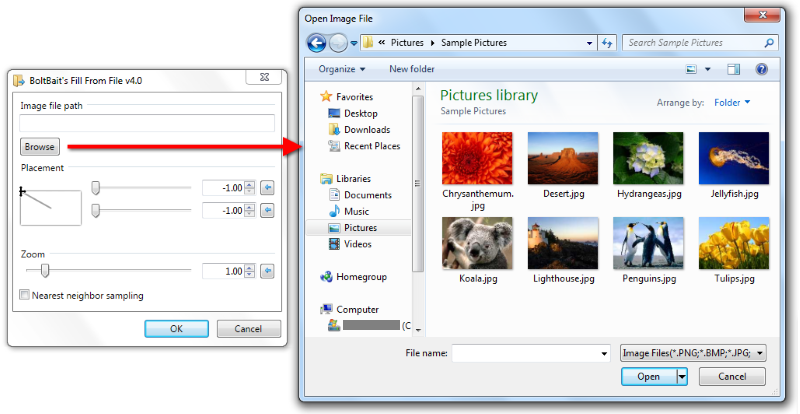 You can enter the path of the image in the text box or press the "Browse" button to select your image from a standard "file open" dialog box. Hello and thank you for this tool. 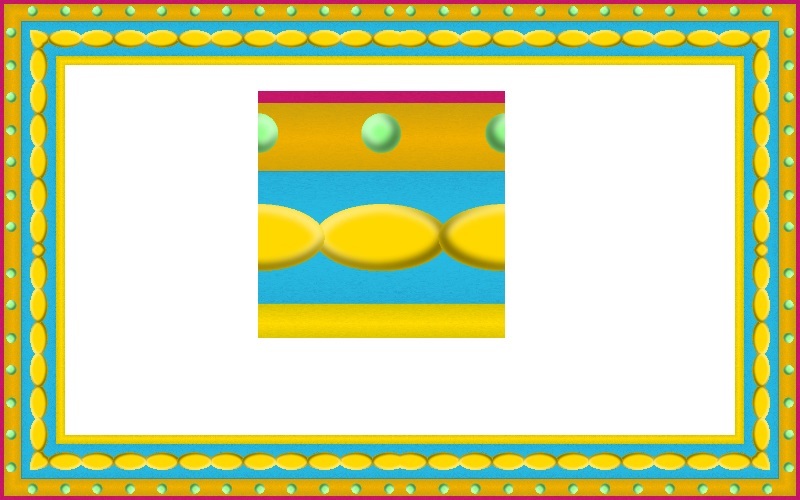 It's great for creating tiled backgrounds. May I make a couple of requests? 1. Is it possible to add a feature that will allow the user to start the tiling from the middle of the layer so that the edges will be symetrical at the edges (the top and bottom edges as well as the left and right edges)? 2. Is it possible to add a feature that will allow the user to control the size of the picture being tiled or how many times the picture will be tiled on the layer? Eli, I have updated the plugins with your requests. Please try them out and let me know how you like it. 1. Created a tile with Fill from File plugin( used a square image). 2. Deleted the inner section and added volume with Bevel and Drop Shadow plugins. I used the tiling capabilities of the plugin to create this frame. I started with an image to create a tile on two layers and with some duplication, flipping and cropping I ended up with this frame. It looks good to me. I thing that with your knowhow, you are very close to creating a new pluging for paint.net, a "Frame generator". Thanks again. Testing these plugins I'm wondering if the zoom slider is not inverted? In the moment a value 2 means 50%. I would expect 200%. I just fixed a bug in the 4.0 version of this plugin. 3.5 users, it's time to upgrade! Click the first link you posted. Click the link BoltBaitPack40.zip which is surrounded by arrows. Gendalf, the placement and zoom features are nice in this plugin. I get my square image with no problems using whole numbers (1, 2, 3, etc). The problem arises when zooming with decimal values. The squares tend to blend and, in your case, the white border disapears. Mister BoltBait will probably address this issue. Looking for a plugin that can do this but randomize the orientation of each image. Trying to take a circular company logo and make it into a tileable print pattern for fabric and wallpaper. Currently playing around with this plugin to do it by taking various orientations of the logo and tiling them on top of each other, flattening, then doing the layer -> rotate and zoom function, then iterating that process. 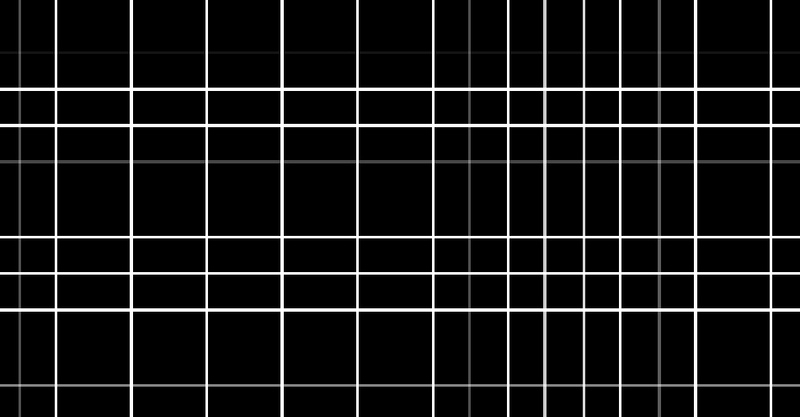 It's creating a really nice random effect, but the part that's really missing is that the tiling is always in alignment. Would be really nice to be able to have each tiled image set to a randomized orientation. Otherwise, love the plugin. 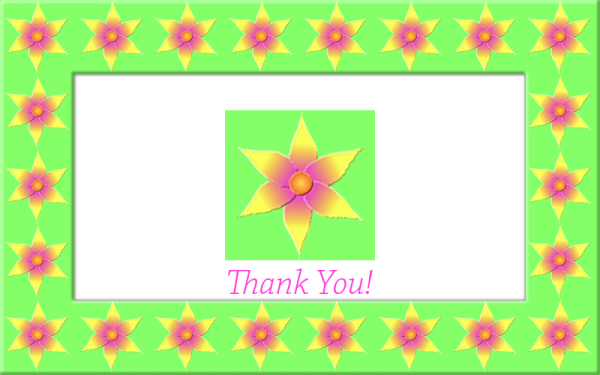 Many thanks for implementing!